As the old adage goes, epic waves come to those who wait. URBNSURF (urbnsurf.com, @urbnsurf), Australia’s leading surf park developer, today announced that the construction of its ‘URBNSURF Melbourne’ surfing lagoon is nearing completion, and is on track to be pumping out perfect waves at its Melbourne Airport, Tullamarine location around Easter 2019. Since commencing construction in Autumn 2018, the development of the first commercial surf park in the Southern Hemisphere has rapidly progressed. Major earthworks, civil construction and services installation are now largely complete, and the heart of URBNSURF Melbourne’s surfing lagoon – the world’s first full-scale Wavegarden ‘Cove’ wave generator – has been installed. URBNSURF is now on the final countdown to filling its Melbourne lagoon, ahead of producing first waves around Easter 2019. 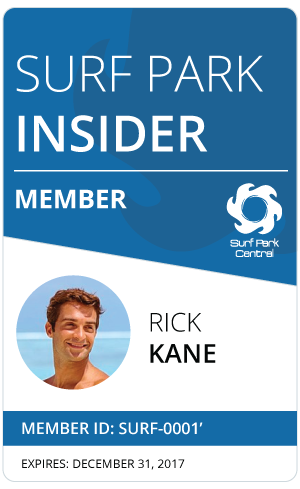 He added, “It’s an incredibly exciting time for us at the moment – we can’t wait to turn on the hose, fill the lagoon, and start pumping out perfect waves around Easter when surfers from around the world are focused on the Australian leg of the surfing World Championship Tour. Once first waves have been produced, the wave generator and lagoon will be fine-tuned during a testing and commissioning period conducted over Winter 2019, ahead of URBNSURF Melbourne opening to the public in Spring 2019 (Australian Spring runs from September – November). Located adjacent to the Essendon Football Club, and just minutes from Melbourne Airport’s terminals, ‘URBNSURF Melbourne’ is a world-class surf sports, leisure and entertainment venue centred around a next-generation, 2-hectare (5 acre) surfing lagoon that is able to produce up to 1,000 surfing waves per hour. Within its crystal-clear lagoon, URBNSURF Melbourne will deliver authentic, safe, and convenient surfing experiences, in the form of surf sessions and surf lessons, for up to 84 surfers per hour, day and night, year-round. Capable of generating knee-high, rolling whitewash waves suitable for new and beginner surfers, right through to 2.0m (6.5’+) high steep, barreling waves that will challenge even the most experienced surfers, URBNSURF Melbourne can accommodate surfers of all ages and ability across six separate surfing zones. With a modular, minimalist design, URBNSURF Melbourne will also feature a licensed café and restaurant (open to the public free of charge), a concept surf shop, a fully-equipped hire centre offering the latest boards and wetsuits, night surfing, a surf academy, high performance coaching and training options, festivals, events and surfing competitions, lagoon-side pools and skate ramps, and relaxing, landscaped open spaces.